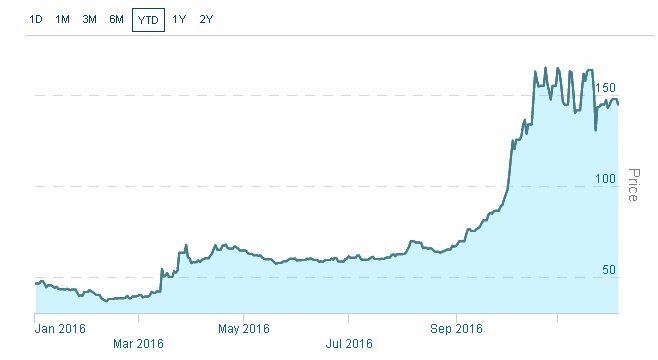 The cannabis sector has done pretty much as expected in recent weeks. After the huge gains into the multi-State vote on legalization on 8th November, this heavily overbought sector has started reacting back and may be forming a top. The votes on legalization went well (only Arizona voted no), which certainly augurs well for the sector over the longer-term, but this outcome was expected so the vote became a “sell on the news” event that triggered heavy profit taking, which even started to kick in several days before the vote. The following charts, courtesy of the marijuanaindex.com are most interesting and make clear how the sector has topped out, at least for now, and the big question is whether the sideways pattern now forming is a top or a consolidation. Here it should be pointed out that we were long many stocks across the sector months ago, and sold out for massive profits around the time of the vote on November 8th. 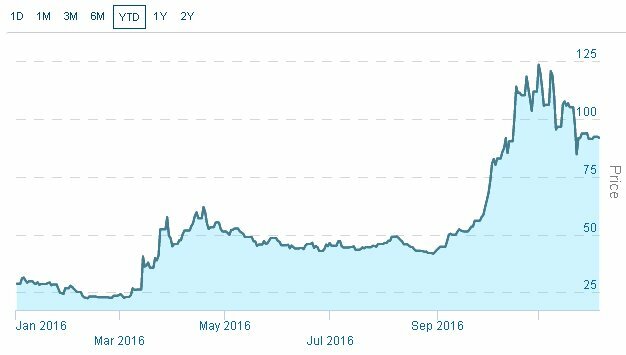 Charts above courtesy of the THE MARIJUANA INDEX. Although the multi-State vote had a largely positive outcome, it’s not necessarily plain sailing for the sector from here on in the US. This is because the Republicans won the general election, not the Democrats, and they are not so favorably disposed towards the marijuana industry as the Republicans, and here we should remember that at the Federal level, the industry remains illegal, even if approved at State level. A particular setback was the nomination of anti-cannabis firebrand Jeff Sessions as Attorney General, who may have the power to impede the industry and even roll back some recent gains. The criminalization of cannabis actually has strong parallels with the era of “prohibition” when alcohol was banned in the US, a big difference being that unlike alcohol, marijuana has a wide range of important medicinal uses. Just as, in modern times, the abuse of alcohol by many young people, and some older people, is no longer seen as grounds to ban it, the abuse of cannabis by some young people, which is inevitable, should not and probably will not be seen as grounds to ban it. Up until recently, an underlying reason for the criminalization of cannabis has been the threat that medical marijuana poses to the profits of Big Pharma as an alternative to their expensive pills and potions, but they are now yielding to public pressure to permit it, aided by the knowledge that they can proceed to buy up much of the industry using their massive war chest and then administer it on their own terms. This is a big reason why resistance to the decriminalization of cannabis by the likes of Jeff Sessions, although potentially a significant problem over the medium-term, is likely to ease with the passage of time. This Ride with Larry video, assuming it was not in some way faked, shows the dramatic effect of marijuana on a man suffering from Parkinson’s. 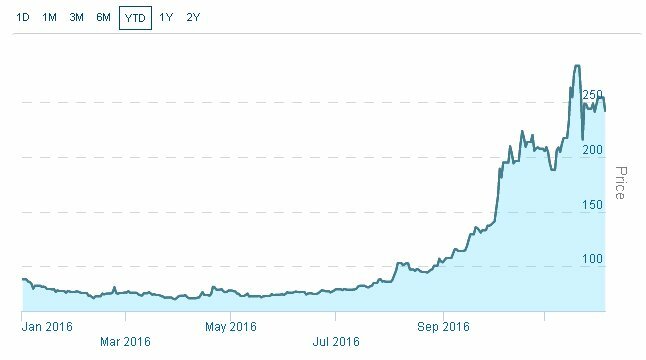 Translating all these fundamental considerations into their impact on the marijuana sector as a whole, and individual stocks, is the challenge facing analysts trying to assess the potential of the sector for investors going forward. Our assessment that the sector was likely to react back or at the least go into a period of lengthy consolidation after the vote, even if it was favorable, was based on the fact that it had risen so sharply ahead of it, and attracted rampant speculative interest. Thus far, this assessment has proven to be correct, but what now? Given the potential of people like the new Attorney General to invoke Federal law to create problems for the industry over the medium-term, which might lead to the still overbought sector reacting back further, a cautious and selective approach to the sector appears to be in order for now. There are still stocks within the sector that look well placed to advance further even if the sector as a whole corrects back, and these are the stocks that we will be focusing on at www.clivemaund.com going forward.